When it comes to choosing the right business tax accountant, it should be tailored to what your business may need. There are tax accountants that are knowledgeable in several niches and industries that you may need assistance in. However, there are business tax accountants that can provide you with tax planning, return preparation, and consulting services for people who work in the entertainment, family wealth, international tax, law firms, and middle market sectors, as well as non-profits and real estate. The last two groups are franchising services group and the royalty and contract compliance services group. Business tax accountants serve clients in each of the above mentioned niches. They are always keeping up-to-date, and are skilled in developing solutions to problems, so you can focus on your business or financial goals. Tip 1. Look for a business tax accountant who will ensure the long term preservation and growth of your net worth. They can do this by looking after and managing your finances. They should give you appropriate advice and planning that is tailored towards your business. They should also cooperate with you as well. Tip 2. Make sure the accountant will offer you personalized financial advice that will protect any financial assets you may have. They should be able to ensure you are paying only minimum taxes and lower your administrative costs. Tip 3. Look for an accountant who is able to note trends and changes before they occur, and who will keep you up to date on the changes. If you work in the non-profit sector, it is important to have government transparency, especially when it comes to financial reporting. It is important to be accountable towards funds that are in the best interests of the public. Tip 4. Find a business tax accountant who has the resources and skills that will help you manage risk and maximize value. The tax accountant should have analytical skills, and who will give you investment strategies if you work in real estate. Tip 5. Work with middle market companies that represent an array of industries who have specific needs that require experienced tax accountants who can serve them. They should communicate with you regularly, and exhibit problem-solving skills and service that is tailored towards your needs. Tip 6. The accountant should also make sure your registration process happens efficiently, and they should make sure the tax planning and preparation is related to franchising. This is especially if you work in the franchising business. Tip 7. If you work in the royalty and contract compliance sector, you should make sure that the accountant will provide auditing services that will make sure you get all the royalties that you deserve. It is common that royalties remain underpaid, because of accounting errors or poor auditing. An effective audit process will help recover many of the missing royalties. Tip 8. 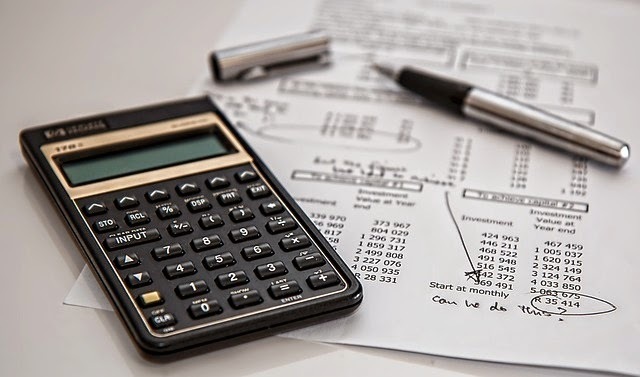 If you are looking to expand or move your business to a foreign market, you should look for an accountant who will offer tax and bookkeeping services that are tailored to your needs. The accountant should also offer you solutions and advice when you are ready to expand internationally. Tip 9. If you work in a law firm, you should look for an expert who provides specialized consulting tax, and accounting services in the legal profession. They can help you with complex issues, and they understand the challenges that are related to your profession. Tip 10. Look for a business tax accountant who uses cloud-based technology. It is easy to use and requires less data entry than other traditional systems. They will be able to make wise business decisions in a cost-effective manner. This type of technology uses highly secure servers that can be accessed with an Internet connection. The business tax account will be able to access financial information from a mobile device, and update information via “real time”. They will also be able to access vital accounting information all day long. Business tax accountants are experienced and understand how various industries work. They will be able to determine the best course for your business financially and help keep you on track with all your obligations, from payroll to taxes. Don’t underestimate the value of having a qualified and highly experienced accountant in your corner. About the author: This article was written by Phyllis Stent, who believes that business tax accountants can save you a lot of money.